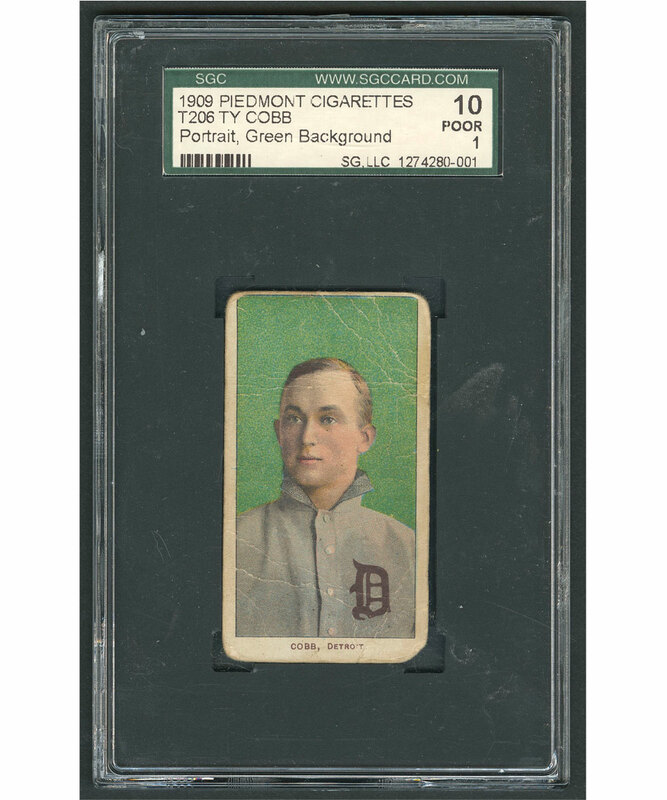 An opportunity to secure an early card of Tyrus Raymond Cobb, the man who would go on to establish or equal more Major League Baseball records than any other player, presents itself here. 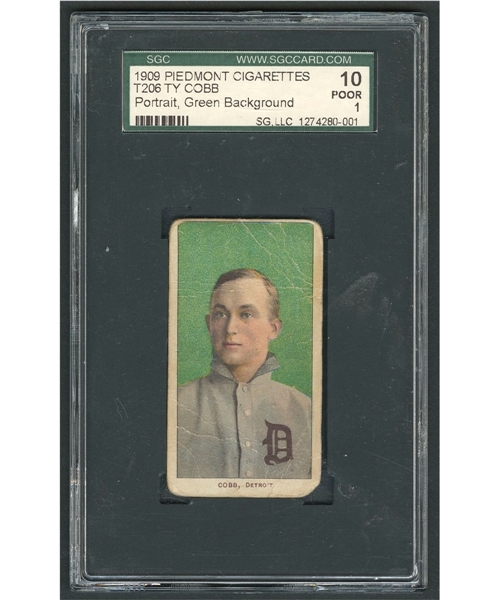 With a Piedmont Cigarettes back, the 1909 T206 offering depicts "Ty" at approximately 22 years of age and in just his third full season with the Detroit Tigers. And what a year it was, with Cobb leading the American League in home runs, RBI and batting average to become only the second A.L. player, after Nap Lajoie, to capture a Triple Crown. This "portrait", green background variation is the most valuable, features multiple light creases and rounded corners, and has been authenticated/assessed by SGC, the firm assigning a mark of "10 POOR 1". The all-time great would continue to display a fierce competitiveness for 24 seasons, leading the American League in batting on twelve different occasions, including nine consecutive from 1907 to 1915. Cobb was one of five inaugural inductees of the Hall of Fame in 1936. We should note some residue along with a few scratches over both the front and reverse of the SGC holder.